As the name suggests, pre-natal screening tests are procedures which are conducted during pregnancy. The main aim of these non-invasive prenatal tests is to know whether your baby is healthy, or may run the risk of suffering from any birth defects. During prenatal visits, your doctor will conduct a physical examination, and also suggest a few routine tests to ensure that all is well with you and your baby. A Urine Test: This will be tested to confirm your pregnancy. During your subsequent visits, your doctor will keep asking you for a urine sample, to check if you may be suffering from any urinary tract infections or other conditions. A Blood Test: This will be tested to map your blood grouping and typing, and help determine if you are suffering from any deficiencies for which supplements need to be prescribed. Also, a blood test will be able to determine if you have any sexually transmitted disease, like Syphilis or Hepatitis B, as some of these can be transmitted to your baby. In such cases, your doctor will also advise you on different forms of treatment that can reduce the chances of passing on this ailment to your child. An Ultrasound: This will be conducted to give an indicative idea about your delivery date, as well as whether you are expecting twins or triplets. Quadruple marker test, also known as the Quad screen or simply the Quad test, is included in the second-trimester prenatal screening that is typically done between weeks 15 and 20 of pregnancy. The quad screen test derives its name from the fact that it measures the levels of four hormones found in all pregnant women’s blood. The quadruple marker screening test is a routine prenatal screening test. The test poses no risk of miscarriage or other pregnancy complications. The quadruple marker screening test is voluntary. Test results only show whether you have a higher risk of carrying a baby with Down syndrome, not whether your baby really has the condition. If the risk level is moderate or high, you have the option to follow the quad test with another test that’s more conclusive. Pre-eclampsia is pregnancy-induced high blood pressure. It is one of the most common life-threatening conditions occurring in pregnancy. It occurs 1 in 50 pregnancies. 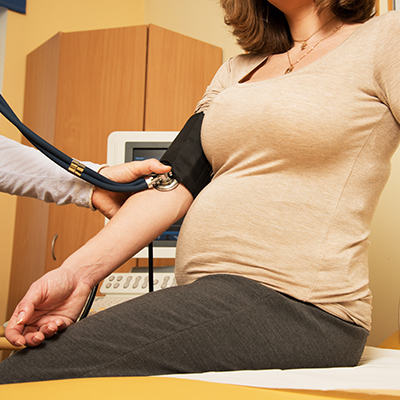 High blood pressure can be extremely dangerous to both, the mother and baby. Currently, the only treatment is delivery. The delivery needs to be timed carefully as it needs to balance the condition of the mother and the maturity of the baby. The probability of developing pre-eclampsia is increased by some factors including high body mass index (BMI), first pregnancy, and having any previous personal and family history of pre-eclampsia. In addition to your 11-13 week scan you can opt to have a pre-eclampsia pregnancy screening for this potentially serious condition. There is vast evidence that early pre-eclampsia is associated with an increased risk to you and your baby’s health. Better maternal and fetal monitoring if detected high risk would lead to the early detection of pre-eclampsia from the clinical signs of the disease and where necessary medication can be given. 1. Does fetal medicine provide maternal care? 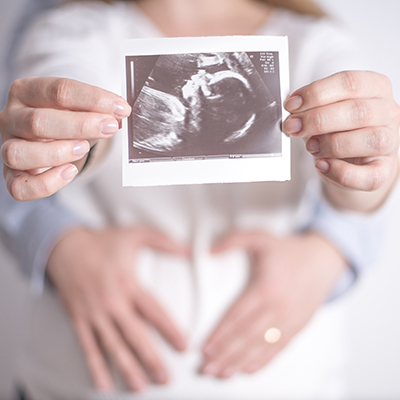 Yes fetal medicine provides maternal and fetal care during and after the pregnancy. 2. Does fetal medicine manage fetal anomalies ? Yes fetal medicine manages maternal and fetal anomalies. 3.How safe is fetal surgery? All surgical procedures are associated with risk. 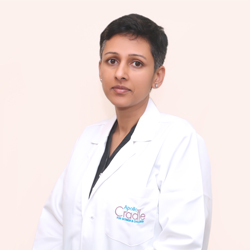 At Apollo Cradle our obstetric team delivers exceptional care for high-risk moms throughout pregnancy and afterwards. Our level III NICU is fully staffed with Pediatric Specialists to care for your baby. 4.What is meant by twin-to-twin transfusion? Twin-to-twin transfusion syndrome occurs by intrauterine blood transfusion from one twin (donor) to another twin (recipient). It only occurs in monozygotic (identical) twins with a monochromic placenta. 5.When is open fetal surgery deemed essential? We at Apollo Cradle performs open fetal surgery in rare conditions, usually to keep the detected abnormalities from becoming life-threatening. 6.When is fetal intervention required? 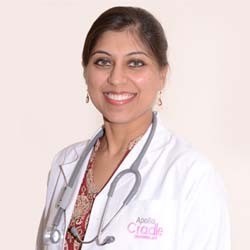 We have expert doctors to diagnosis the fetal conditions precisely, fetal therapy is started at any point during the pregnancy. The experts provide the treatment plan based on the condition. 7.Does maternal-fetal medicine specialists give prenatal counseling? Yes, at Apollo Cradle maternal-fetal care includes prenatal counseling and postnatal care for you and your child. 8.What services does fetal medicine specialty clinic offer? 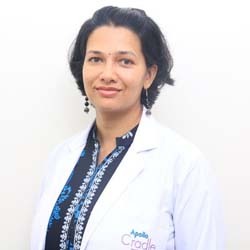 At Apollo Cradle Fetal medicine specialty clinic offers service like transvaginal scans, and pre-term labour screening. 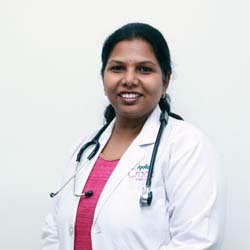 The Fetal Medicine is a vast specialty which deal with mother and newborn baby, it provides care for pregnant women by our expert team of doctors who have trained in ultrasound scanning and fetal medicine.